Oven repair requires extensive training and knowledge that is why trying to fix these appliances yourself can be dangerous. Allow our professionals to take the worry out of getting your oven repaired quickly and effectively. 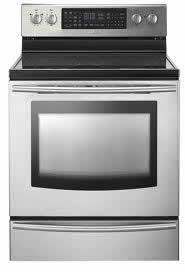 • Your Thermador Oven is continuous Sparking! Any of these oven problems can be fixed, no problem! We can come to your home at your convenience and get your oven repaired fast! We can also help you with regular maintenance on your oven or stove to extend the life of the appliance and save you money. So if you have a major problem that needs immediate attention or you just need regular oven maintenance, give us a call at (410) 715-7506. We can make you an appointment as soon as possible.